Nosh is a restaurant Chef Robert envisioned as a fun place people could come in and grab a quick bite (which is the definition of nosh). The previous restaurant had a very woodsy cabin feel with woodwork, stone, and a huge moose head. The design really started with some fantastic lumber I reclaimed from a barn in Long Island, New York. This lumber turned into a feature wall with red accents, the fireplace mantle, and the bar face itself. 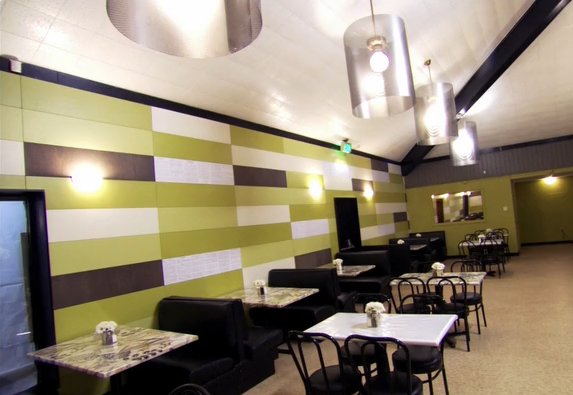 I developed the design from many of the cost saving concepts I had learned from Restaurant: Impossible. My favorite part is a chandelier I built from a light fixture that I purchased for 75 dollars, painted red, and wrapped with wire mesh. A good portion of the restaurant was design-on-the-fly, with design discussions between Robert Irvine, Lee Lucier and myself. Also, a fun fact during construction: I actually broke my nose when one of the back bar pipes snapped and hit my face. I reset it myself. Just another skill added to my list! My dear friend, HGTV and Restaurant Impossible designer, Taniya Nayak asked me to team up with her to renovate Rachael Ray’s green rooms in NYC studio. This was perfect for me. We do most of our work in NYC, so I already had my team in place. 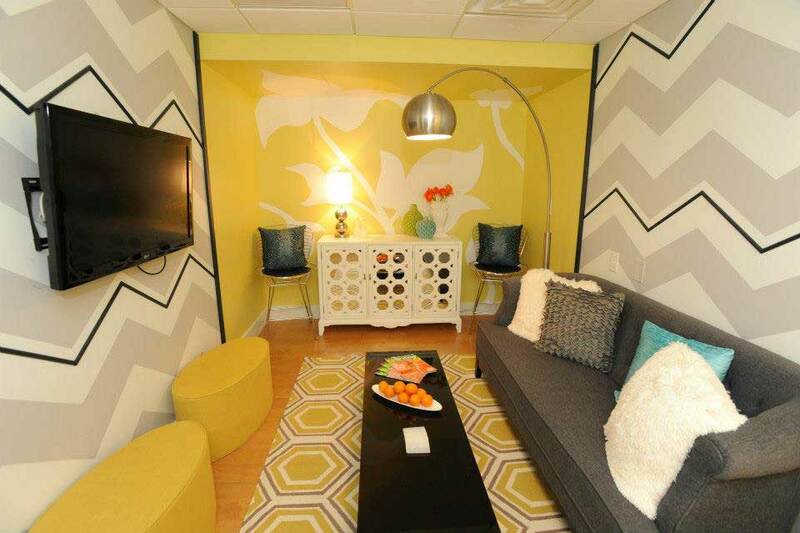 Taniya put together an amazing design for four green rooms, each with its own feel intended to suit different guests on the show. We pulled this off in one week, and in typical RI fashion, the last day was a crazy rush. The rooms came out simply stunning and Rachael loved them. My favorite moments were working on a chevron pattern paint scheme with Taniya and showing her some cool inside Frogtape tips. It was fun working together with more money and more time than I’m accustomed to on RI. The results prove it! This restaurant was the first where Robert Irvine gave me the challenge and responsibility of handling the design and the build. 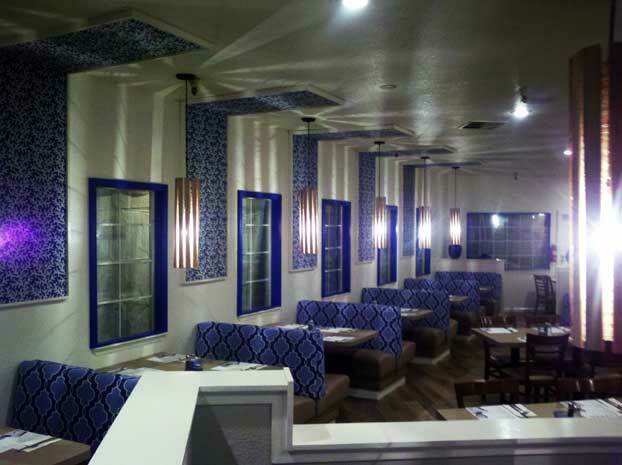 Pappas is a Greek restaurant owned by a father and his two sons. My overall inspiration was Greece itself: the deep blue ocean overlooked by chalk white architecture. 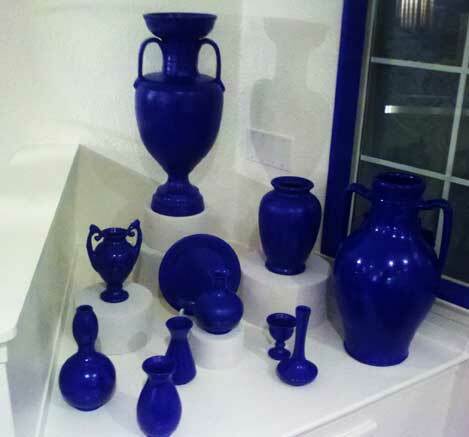 I reclaimed all of the Greek pottery and painted them deep blue. We also painted the walls white with blue accents. My favorite project was converting the unused server station cabinets into a beautiful wine rack. The light fixtures in this project were also a last-minute thought. I had no money to by new ones, so I stripped off the old dirty shades and had made new ones using chicken wire and rough wood slats. I have to say, after this episode I had a new respect for the designers on the show. This episode was a design collaboration between myself and Taniya Nayak, who was not able to make it to the filming of the episode. We had to do most of the design collaboration over the phone, which was not easy. We wanted to bring some real color into the space, as well as, some concept of music. Pollards is in Memphis, literally steps away from Graceland. The main issue we had with the redesign was that the walls were concrete block, so it made any attachment (nailing, drilling, etc.) difficult. We came up with a simple scheme of nailing wood slats to the walls that we could later cover in wood panels. 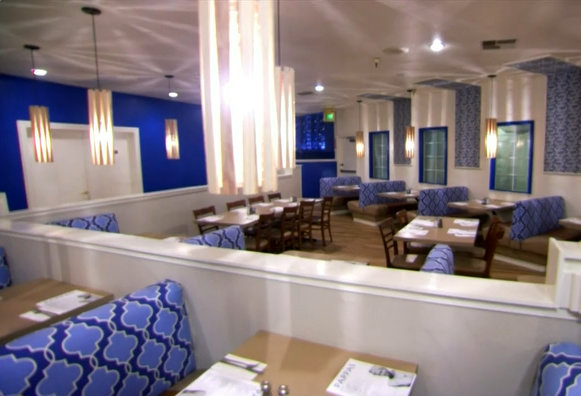 Each of the wood panels had a different bold color shade based on the HGTV color pallet. Some of the panels featured pages of music notes plastered to them. 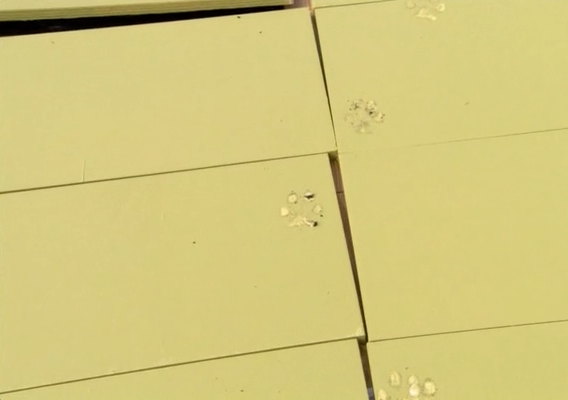 My favorite moment during this episode was painting all the panels and leaving them out for the night, only to find that a dog had taken a late night stroll over them. Day two involved sanding and repainting them all! This is another episode where Robert gave the challenge of doing the design and the build. Inspired by their Latin food, bold colors pallets, and interesting items they had collected, I put together a fun and bold concept. I started by painting the place with a bright lime green. This was way outside my typical comfortable color palette, but I felt it was something this place needed. However, convincing Robert that this color was right was a whole other story. He eventually trusted me and let me put it together. The other major feature for this redesign was reusing all of the interesting Hispanic items they had collected and thrown around the restaurant without rhyme or reason. I decided to build display boxes of all different sizes, and paint them white. Each box then featured one of the reclaimed items from the restaurant. The boxes were hung on the walls and the back bar, with some of the boxes used for liquor storage. My favorite moment during this rebuild was when the first brand new chair was brought in and was dropped and broke with little time to find a replacement. Lucky for me, the store across the street had some amazing Mexican-style wooden chairs. Celebrity Chef Elizabeth Falkner and her business partner Nancy Puglisi created Krescendo. This restaurant concept revolved around an amazing wood-burning pizza oven, imported from Italy, and installed inside the restaurant instead of in the kitchen. 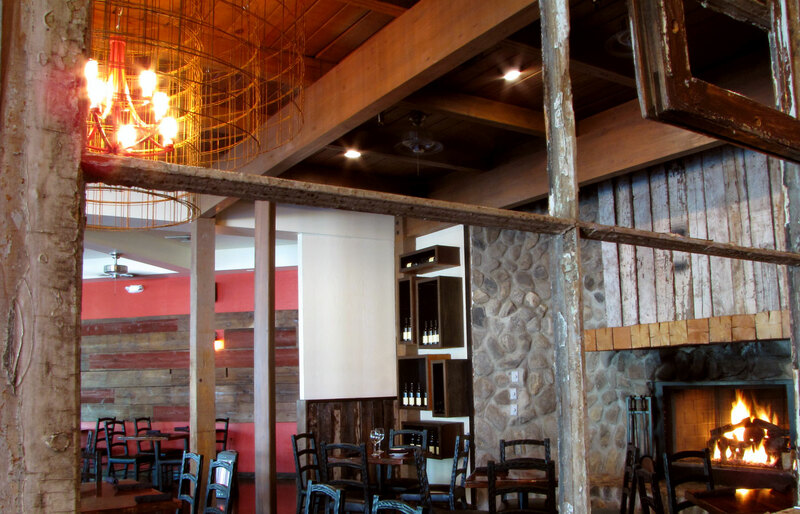 We wanted to warm up the restaurant with some bold reds, woodwork, and the feel of reclaimed materials. The storefront was painted bright red inside and out to attract attention to its midblock location. We reused every item left behind by the previous owner. A server station was demolished and recycled into a new pizza counter and hostess station. 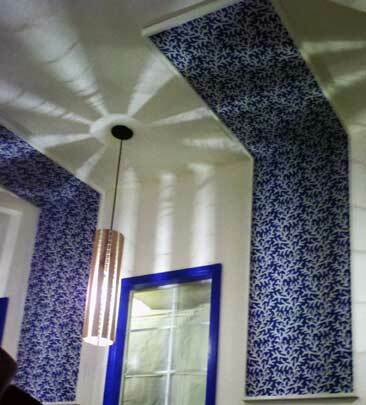 For the ceiling, we purchased faux-tin ceiling tiles that we white washed to give them the feel as if they had been their forever. 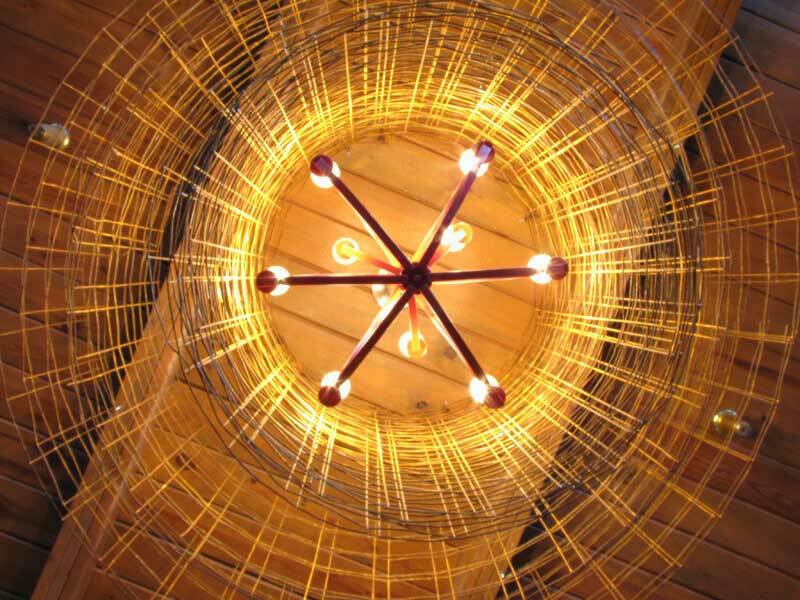 My favorite element in this design, was the use of 15 large industrial baking whisks that I reclaimed and turned into light fixtures for the storefront. All of the table bases were reclaimed and received a new oak butcher block top. The comfortable atmosphere and fantastic food will make this place a super success in an up-and-coming Brooklyn restaurant scene. My good friend, and restaurateur, Bobby Werhane wanted a bistro-style restaurant for this corner location. It was not a big space and felt so closed-in and cramped. I worked very closely with Bobby and his wife on this design. 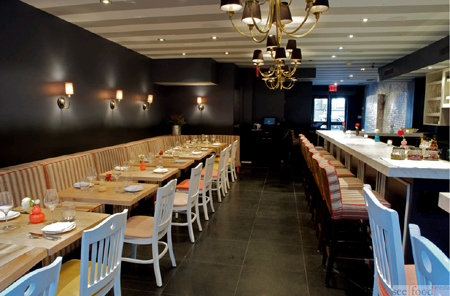 We started by opening up the kitchen to the restaurant, and building a custom chef’s table. We added some old schoolhouse lights above the bar and custom built the back bar to look like old farmhouse kitchen cabinets with a butcher block top. We also removed the glass and doors from the existing vestibule, and build in a custom hostess station. My favorite feature of this restaurant was a server station that I built from an antique armoire. We cut the armoire in half. The top half we hung up on the wall, removed the doors, and placed an antique wall covering on the inside back. The bottom half received a new butcher block top and white subway tile back-splash. I love the fact that a server station is actually a feature not an eye sore in this restaurant. Spasso is also a very popular celebrity hangout that features a suckling pig dish on the menu in limited supply every night. 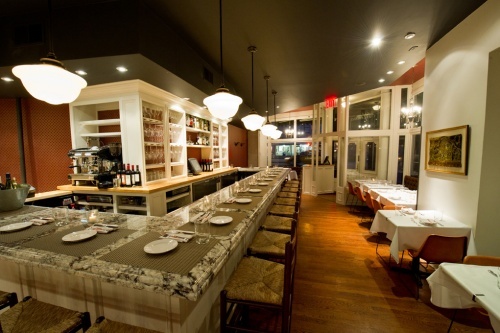 One of my favorite restaurants in NYC, as well as celebrity chefs like Ann Burell, is L’Artusi. This W10th location looks small from the storefront, but is extremely long with a second floor open to below. The previous restaurant had a dark back section near the kitchen that no one would ever choose to sit. So we turned an issue into a design element, and we opened up the entire kitchen to the restaurant. I built a chef’s counter that separated the kitchen from the restaurant. This chef’s counter is now a popular spot to sit while you watch the chefs prep the food for service. Another fun feature I developed was the custom-built expediting table that actually moves, so the chef can give himself more room when the restaurant is not full. The table then retracts to give guests more room when they pack the house. Besides the amazing food by my good friend Chef Gabrielle, they feature a very extensive wine list. The owners wanted a full wine room on the second floor with a table in the room for VIPs. 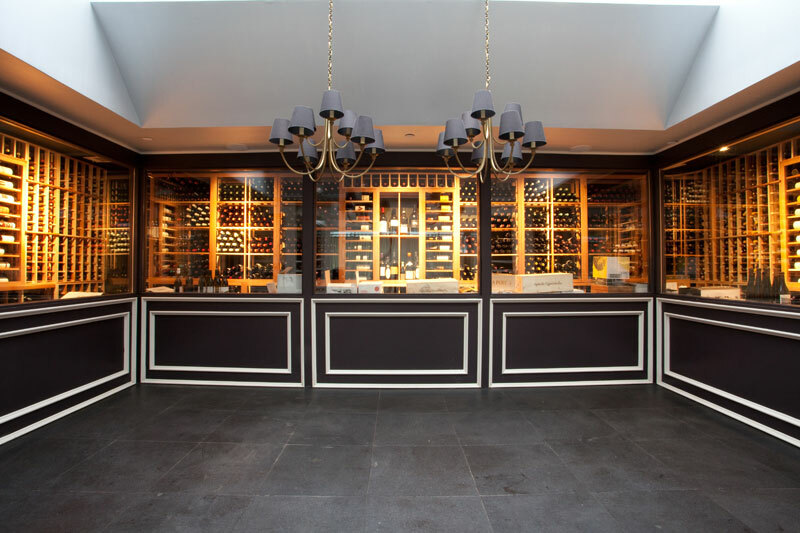 This, however, created many issues with keeping wine the proper temperature, so my solution was to create a narrow “c” shaped glass wine room that wrapped around the VIP table. I then created custom built sliding doors that could be closed to offer guest privacy, or kept open to display the wine room. L’Artusi is truly an exciting restaurant where you can get an unique experience every time you go, and don’t be surprised if you see me there. I love the food and the atmosphere.